So how does one hold onto summer? By spending as much time outside as possible, by drinking smoothies as snacks and eating salads with dinner, by devouring homemade popsicles and ice-cream sundaes and wearing shorts and skirts and sleeveless tops as often as possible. 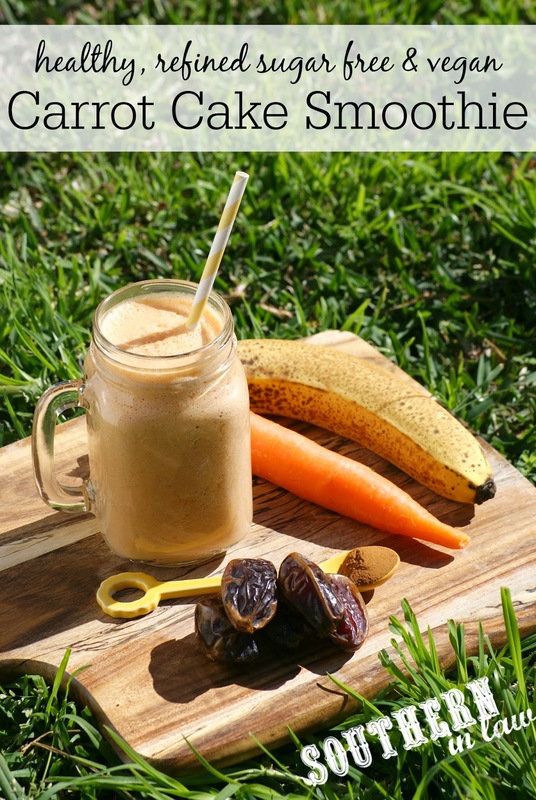 With Easter fast approaching, I thought it was the perfect time to share one of our favourite smoothies with you. 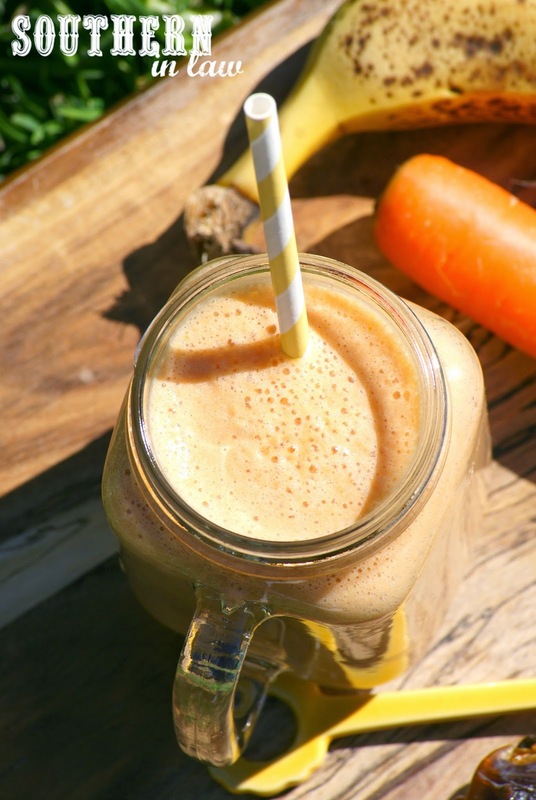 This Carrot Cake Smoothie recipe is so simple but so delicious and packed with nutrients. And you'd probably be right, except, I spent months perfecting the right combination of ingredients for this smoothie to give you a smoothie which really does have that carrot cake flavour. I'm a perfectionist and I was so excited when I finally decided on the perfect mix. Optional: Add in some walnuts for a bit of extra carrot cake flavour! 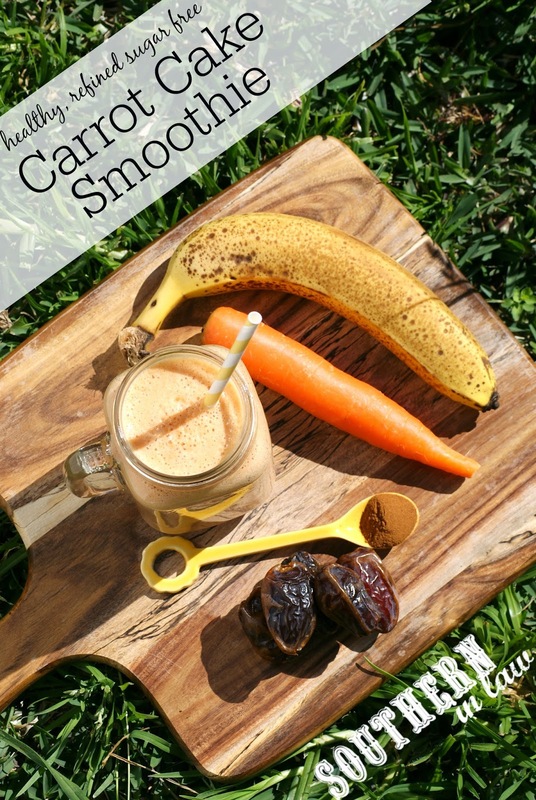 Add your date and carrot to your blender, pulsing until coarsely chopped. Add in all of your other ingredients and 1 cup of your milk, blending until smooth and combined and adding additional milk if desired. *If you don't have a high powered blender, you may want to use grated carrot to ensure you don't end up with big chunks of carrot in your smoothie. **Add as much or as little milk as desired to reach your desired consistency! But tell me, summer or winter - what's your favourite? And what kind of foods are totally "summer" to you? I will always associate carrot cake with Easter and spring! One of the first things I baked gluten-free was a carrot cake for Easter! It's one of our all time fave smoothies!